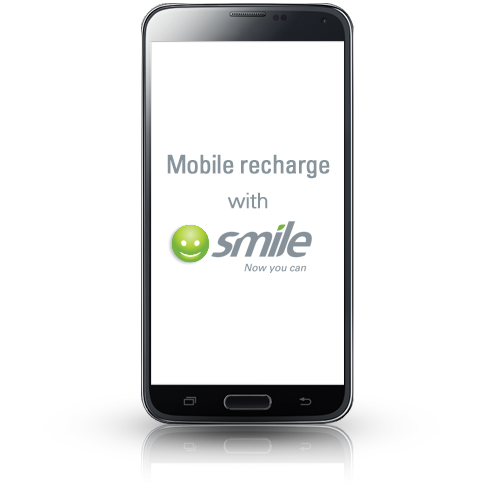 It is quick and easy to recharge SmileData from your mobile via Airtel Money, M-Pesa and Tigo Pesa. To recharge using Mobile Money you would need Smile’s Business Number – 110110, and a reference for payment – use your Smile account number or SmileVoice number. If you do not have your Smile details at hand, please call 0662 100 100 for assistance. Please remember to pay the EXACT* amount of the data bundle you want to recharge with – go here to view SmileData bundles and pricing. Just follow the prompts on your mobile, via the Mobile Money platform of your choice. *any amount paid, that does not correlate with a Smile data bundle, will be converted to Smile Airtime and credited to your account. Recharge your airtime and data bundles online via XpressRecharge or MySmile – select to pay with PesaPal or PayPal and select the bundle you want to recharge with.